Digital Fabrication methods are becoming the norm in manufacturing facilities all throughout the world. The application of CADCAM technology for dental laboratory procedures has culminated in a remarkable degree of accuracy in the resultant restorations and prostheses. The Department of Prosthodontics at Saveetha Dental College is equipped with state-of-the-art CADCAM units to provide crowns, bridges, frameworks, appliances and dentures with micron level accuracy. Both chair side and full-blown laboratory units are available in-house to accommodate speed as well as quality in all prosthetic procedures. NO MORE waiting for a week to make a crown when we can deliver it within an hour! 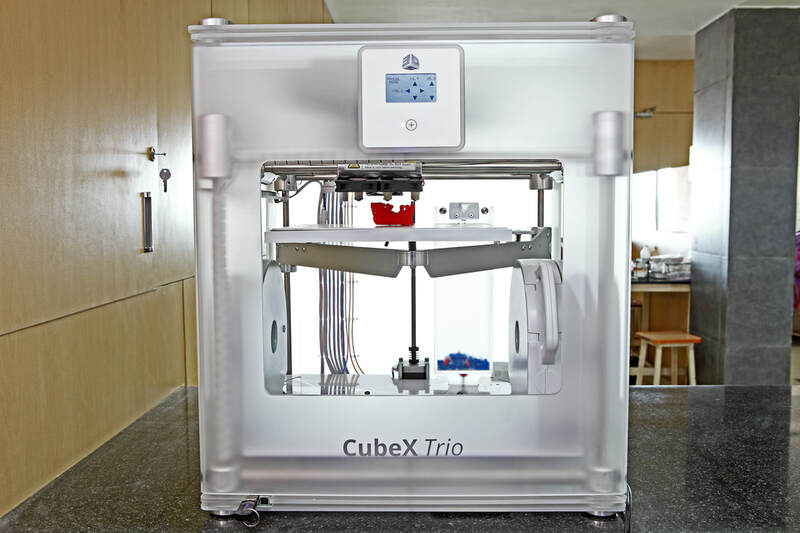 Saveetha Prosthodontics is the first college to procure the cubex 3d printer for advanced grafting. this printer prints PLA stents that can be used as artificial bone substitutes.